Toronto, ON – September 29, 2015 – For over 40 years, actor, singer, producer, activist, Tom Jackson has crafted a compassionate stage of caring. This is strongly reflected on the songs from his new album, Ballads Not Bullets, out on October 16, 2015, available through Jackson’s label Tomali Pictures, distributed by Universal Music Canada. The album features 10 original songs, including the stunning first single, Blue Water. Have a listen here: http://bit.ly/1LZlWA2. 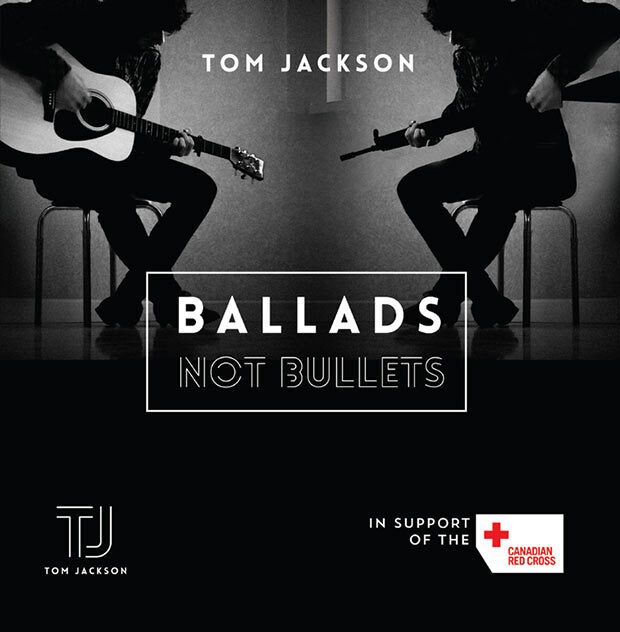 When fans purchase Ballads Not Bullets, they’ll not only be enjoying the incredible new songs from Jackson, but will also help the Canadian Red Cross in its efforts to alleviate human suffering wherever it may be found. Blue Water will be available this Friday, October 2nd, and BNB is available for pre-order now on Amazon at http://amzn.to/1R6musq. Jackson will celebrate the release of the album with his annual Huron Carole Tour – to be announced soon! Born to an English father and Cree mother, Jackson’s first love has always been music. Through this passion he has spent years creating change with the touch of a song, a poem, a musical or a concert tour. In 2015 he will take to the road with The Huron Carole Benefit Concert Series, marking 27 years of cross Canada travel raising awareness and funds for food banks and charitable organizations. Jackson is set to release his book, 364, on November 23rd. Described by Jackson as “timeless wisdom for modern times”, it is designed to inspire positive energy and provoke a daily creative thought process. The book will promote wellness for one’s self, for others and for the world. Further details to come. For a younger generation of TV viewers, Tom is recognizable from his portrayal of Billy Twofeathers in Shining Time Station, and his guest role in Star Trek The Next Generation. 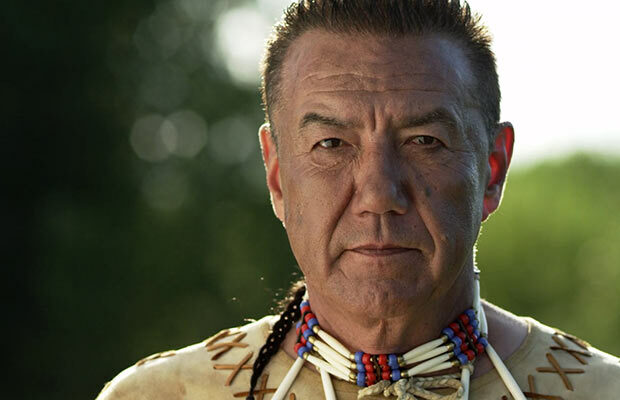 Yet it’s his six years of playing Chief Peter Kenidi in CBC’s North of 60 that still draws comments, letters, emails and many hugs from longtime fans. His long list of accolades include 9 honorary doctorates from Canadian Universities, appointed an Officer in the Order of Canada (2000), Queen’s Jubilee Medals (2002 and 2012), Juno Humanitarian Award (2007), and Governor General’s Performing Arts Award for Lifetime Artistic Achievement (2014). Jackson’s mantra of being in service to others is secured with his choice to engage if it’s good business, good for the world, and good for the soul. He can light up a room with his storytelling, endearing humour and self-penned tunes. He can inspire, uplift and entertain 10 or 10,000 and the gifts he shares, he carries from his ancestry, his life and his loves.